Slim Bryant – People like this comes once in a lifetime. Slim Bryant was a very talented person as a musician, singer, songwriter, band leader, business man, teacher and radio and TV personality. He was born in Atlanta Georgia as Thomas Hoyt Bryant on December 7, 1908 and died May 28, 2010. Slim came to Pittsburgh PA in 1941 on KDKA radio and broadcast every morning on the Farm Hour and played 11 songs between the days news and farm reports and always a hymn at precisely 6:23 AM. Slim Bryant and the Georgia Wildcats group worked on various shows on KDKA and WDTV and KDKA-TV up to 1962. They also recorded 287 songs on pre-recorded self contained 15 minute shows on transcriptions and supplied subscribing radio stations. Their programs were a variety of country, pop, western, polkas, gospel and jazz. 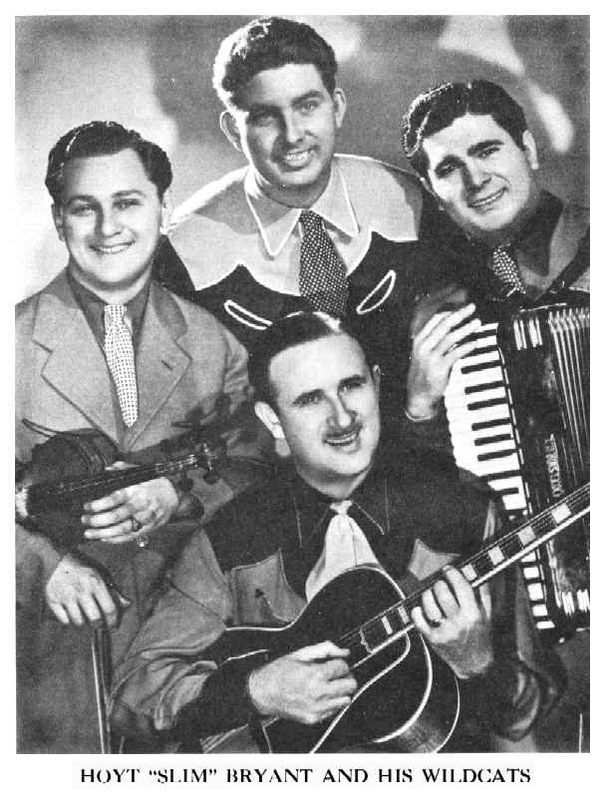 The Wildcats consisted of Slim Bryant on guitar, Loppy (Raymond) Bryant on bass, Kenny Newton on fiddle, Al Azzaro on accordion, Jerry Wallace on tenor banjo. They all participated in vocals and harmony. 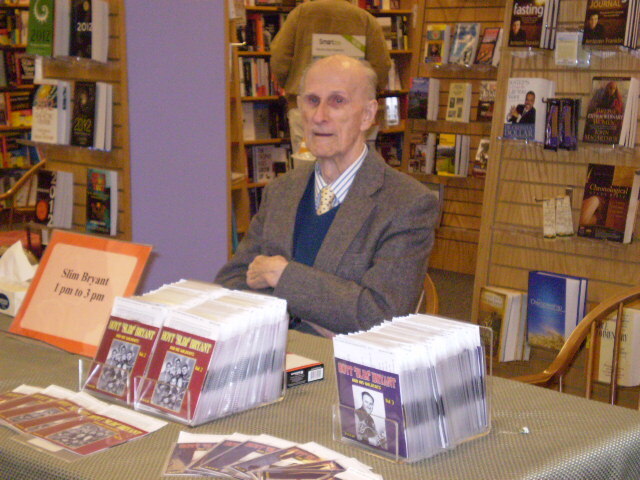 In Slim’s later years he ran a Gift and Card shop in Dormont, PA and taught guitar lessons. This entry was posted in Uncategorized and tagged Ain't We Crazy, Al Azzaro, country music, Eenie Meenie Dixie Deenie, Farm Show, Georgia Wildcats, He holds the lantern while his mother chops the wood, Hoyt Slim Bryant, Jerry Wallace, KDKA, Kenny Newton, Loppy Bryant, Majestic Records. Bookmark the permalink.